Annisquam Herb Farm: Thyme . 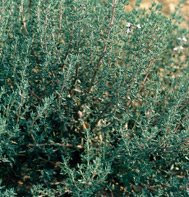 . .
Thyme, used in antiseptic lotions, is also used as an anaesthetic on the skin, in the treatment of ringworm, eczema and burns and in insect repellents. Thyme is considered a tonic for the scalp.